NYC Parks has completed the design phase of the long-awaited Travers Park renovation about a year behind schedule, according to the Jackson Heights Post. The Travers Park reconstruction attempts to unify Travers Park, the 78th Street Pedestrian Plaza and Staunton Field into one, much-greener recreation area with a minimum of fences separating it from the surrounding streets and community. Unfortunately, the construction has been delayed again and now won't start until 2018. Just heard this from NYC Parks' District Manager for our area of Queens. It's supposed to be done in phases so some of the park is open at all times, but that also means the work will take longer since they are not working on all of it at once. This is insanely disappointing. This rebuild was part of what our future move to JH so appealing. I've waited this long so I can keep waiting, but this seems crazy. Why the delay? What is going on in Travers Park? The Jackson Heights Green Alliance sent out an update on the work scheduled for Travers Park back in late December, 2017. If you click on the Alliance's link, you'll see the same content from that e-mail. And according to the NYC Parks Department, the construction phase is to begin this month. 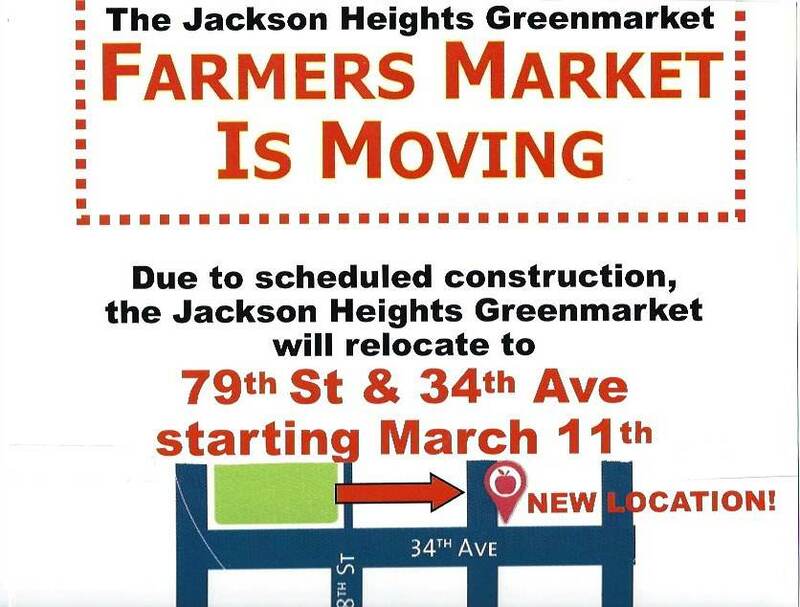 There already flyers between 78th and 79th street on 34th ave regarding no parking on Sunday for farmer market. The website estimate the construction to take 1.5 yr, hope it will be on time. A year and half to just complete the green lawn? Or a year and half to do the whole thing including the new toddler playground? How can these projects take so long? Didn't get a photo yet but the work at Travers Park has begun! Can someone post what it looks like. You know the CHEAP FAST GOOD triangle, right?